Discover Who Your Candidates Really Are And Reduce Your Recruitment Risk. No Set Up Fees, No training Fees. Affordable Personality Testing. For staff development, coaching, teams, personal development and career development. See below. 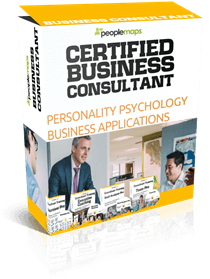 Grow Your Consultancy Using PeopleMaps Personality Profiling. Are you in the wrong job? 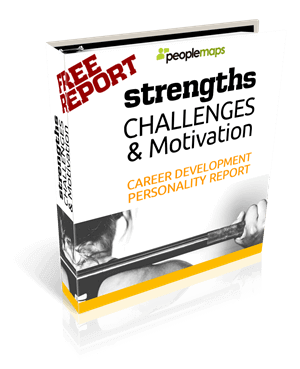 Discover what your ideal job looks like with the Strengths, Challenges & Motivations Personality Report. 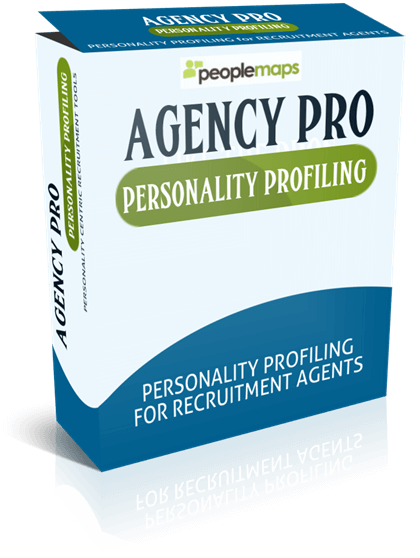 Make better recruitment decisions, with this affordable personality profiling system designed specifically for recruitment. Recruitment mistakes are expensive mistakes. Save money by hiring the right candidates. Personality profiling can help you discover who your candidate really is. Use the reports to conduct an insightful and revealing interview. You will be up and running in minutes. No software to install. Just login via your browser. Most professional personality testing systems are expensive to set up. PeopleMaps has no set up fees and no hidden costs. You just buy the credits you need, when you need them. Even if you only hire from time to time, you can enjoy the benefits of professional personality profiling. Thousands of small businesses have a PeopleMaps account. There are no license fees. You simply buy the credits you need, when you need them. PeopleMaps profiling is designed to help you develop your recruitment agency by increasing the services you can offer clients. 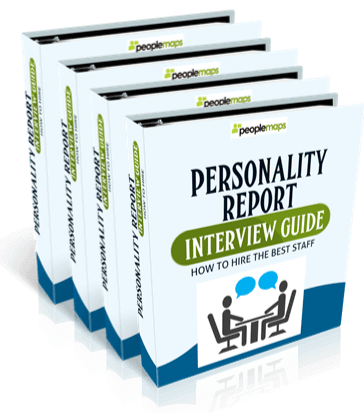 PeopleMaps has developed the “Personality Certificate”, a short summary report to help your candidates get interviews. The Personality Certificate is priced so that you can afford to attach one to every CV you submit to a client. Recruitment consultants don’t have time to go on courses. Agency Pro is designed so that you will be up and running within ten minutes. Get instant access and start using it right away. 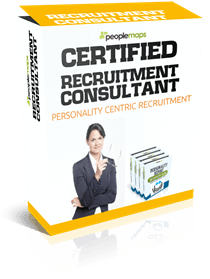 PeopleMaps has developed a personality report specifically to help you hire new recruitment consultants. It’s a tough job that only some personality types can cope with. This report will help you find the candidates that can cope with the job. Do you coach? 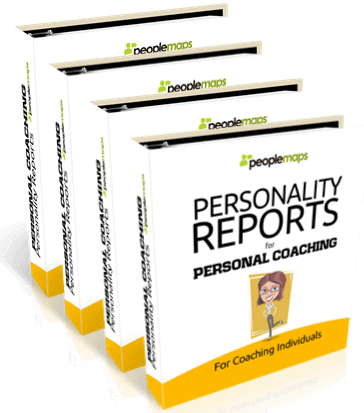 PeopleMaps has developed a range of personality reports specifically for 1-2-1 coaching. Their are several report designs in the range, each one dealing with common issues found in personal coaching. Reports are affordable and you can order as few as a pack of 5 credits. 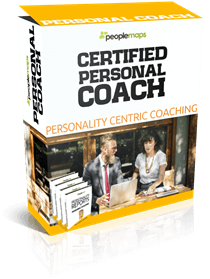 Expand your coaching practice by introducing personality reports to your clients today. Personality Profiling, (also referred to as personality testing and psychometric testing) has been used by organisations for over 60 years. In essence, it is a device to help us understand ourselves and others. Here are some of the most frequently asked question. Click on the + to see the answers. Can it be used in recruitment? I've heard that some systems cannot. Yes, PeopleMaps has developed a system specifically for recruitment. There are some profiling providers that state they are not to be used in recruitment. PeopleMaps has actually developed a range of recruitment tools including an online candidate application and processing system. Historically profiling has been a costly business, however PeopleMaps is an internet company delivering the highest level of service at Internet prices. PeopleMaps has no expensive consultants or trainers to pay for, so you can enjoy professional profiling at internet prices. Both individuals and organisations regularly comment on how incredibly accurate they find the reports to be. Try it for yourself and you be the judge. Do you want to reduce the time and money you spend on recruitment? PeopleMaps has developed a range of products to help employers make better hiring decisions and reduce the time and money you spend on recruitment. 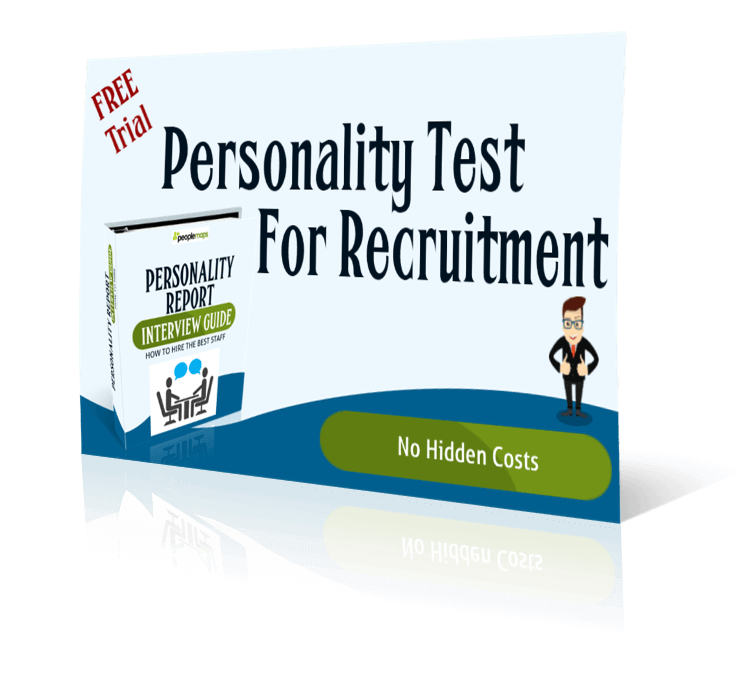 Recruitment personality tests have traditionally been expensive and difficult to implement, as they often require a consultant or specialist training. As the pioneer of online personality tests, PeopleMaps has developed recruitment software, where the personality profiling is fully integrated. The system is easy to use without any specialist training. One of the most unique features about PeopleMaps is its fast personality test. The questionnaire only takes 7 minutes to complete, yet it delivers incredibly accurate results. Most profiling systems were originally paper based, so their transition online was not necessarily smooth. The PeopleMaps 7 minute questionnaire was designed for the internet from the outset and uses clever technology to gather a lot of data in a short space of time. PeopleMaps recruitment software includes the most advanced psychometric test for recruitment you can find. What is Personality Testing (also known as personality profiling) and how can it help your business or your coaching practice? Well you can use the tools and reports in a number of ways. The best thing to do is request the relevant information pack to be sent to you. PeopleMaps offers a huge range of customised services, so it is easier if you just explain your situation and tell us what you are trying to achieve and PeopleMaps will take care of the rest. Profiling people that you are thinking of hiring or that you are coaching, is likely to see you enjoy better results. An understanding of the person is as important as know what work they have done previously or what problems they have. A lot of people want to know how to profile people however this is a complex issue and not something that should be relied upon without using the right tools. Even an experienced psychologist should use profiling tools. PeopleMaps is a Jungian System. Another system that uses jungian archetypes is Myers Briggs (mbti). 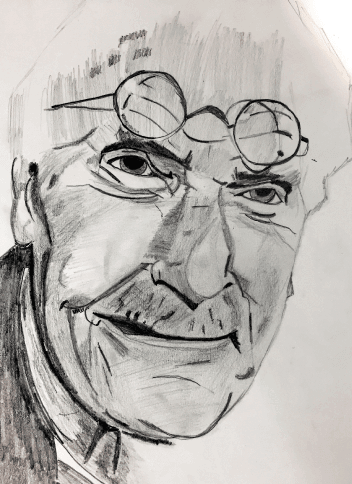 Carl Jung developed the psychology that underpins these systems, though there isn’t an actual Carl Jung Personality Test. Our personality type affects many of the decision we make and much of our behaviour. It is important to note that it is not a test. Even when used with recruitment candidates, the personality report should be used as a guide for the interviewer. Understanding self and others is the starting point of all success and development. Most people have a poor awareness of their preferred behaviour and how it affects their everyday life. This extensive range of reports and training courses is available to everyone and can be accessed from the comfort of your home or office. Discover how to get the very best from yourself and others. Whether you are trying to identify potential managers or working with existing managers, the PeopleMaps Psychometric test for managers will help both the organisation and the managers. Good managers come in various forms and a psychometric test can help you identify what management style an individual uses. Unlike most profiling systems such as Myers Briggs or DISC, PeopleMaps does not use labels. Instead it uses the People Map. This allows you to communicate and compare without being pejorative. 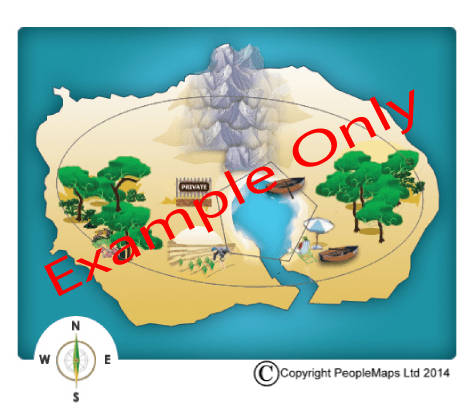 PeopleMaps has always offered a psychometric test free to individuals. This is usually a free career personality test. PeopleMaps has been pioneering online psychometric testing since 2000 and to date, 1.5 million people have completed the PeopleMaps Questionnaire. Most personality profilers were designed as paper based systems. PeopleMaps however pioneered the online psychometric test, even when the industry said it couldn’t be done. PeopleMaps has been developed exclusively for Internet use. The technology is advanced and enables incredibly accurate results to be achieved using a very quick questionnaire, without any compromise on its accuracy.